You may find it useful to be mentored at different stages of your professional life tapping into the knowledge of somebody more senior and/or of greater experience who through their ability to listen, question and challenge, enables you to establish a course of action with confidence. Reverse mentoring is a development technique that as the name suggests takes traditional mentoring and simply turns it around to enable younger employees to mentor their senior colleagues. This works particularly well when new technology is introduced. Reverse mentoring helps with the generational divide and provides wins for all in enabling exposure to new skills and enabling mutual respect through insights to what each individual has to offer a business. Who will the mentee’s be and how will they benefit? What is the demand for mentoring likely to be? How will the organisation, department, division, benefit? Are you focusing on certain staff grades or staff groups? Will mentors be internal to your department? 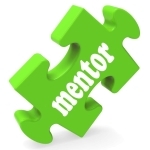 Do you need a cohort of mentors who are senior in grade to your potential mentees? Or is greater experience, at the same level, just as useful? Is it advantageous within the aims of your scheme for mentors and mentees to work in the same discipline or profession? The code of conduct what should it contain? Considerations – Matching criteria gender, culture, education, background and age. Is contact outside of scheduled meeting acceptable? Agreeing the requirements and expectations of the relationship, and making your role clear. How to provide advice rather than answers. Content Criteria: Feedback, mentee could raise issues and challenge mentor.